It was the beginning of August when I decided I was going to take on this challenge— so that left me with three weeks of preparation, anticipation, and panic. In preparation I decided I should learn how to blog and get everything set up ready to go. I didn't. But I did sit down and work out a budget plan that will have me paying off my shopping debt within the year. With anticipation I changed my mind almost daily on the parameters of my challenge and what I would and would not allow myself...at one point I was going to give myself a monthly allowance to keep shopping... I was trying to find loopholes wherever I could. And out of panic, I shopped. A lot. My first emotion when D-Day finally came, was relief. I could finally stop. I had given myself permission, and power, to stop. Sound dramatic? Yeah, it was. Becoming comfortably acquainted with the "new me", I was not prepared for what happened next. 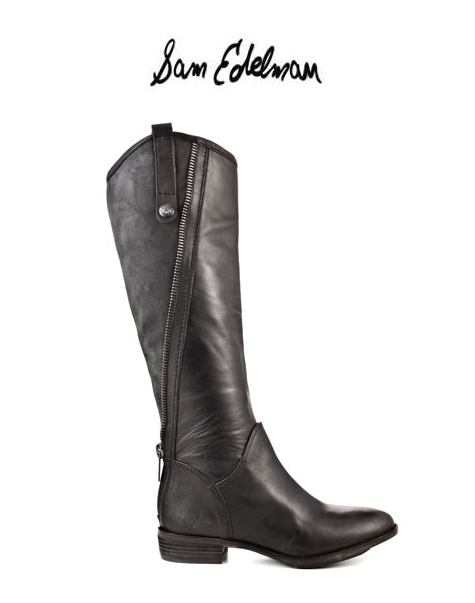 For the last two fall seasons I have been deeply obsessed with finding the perfect pair of Sam Edelman black leather equestrian boots. Minding my own business (and most of yours) on Facebook, the local shop and swap posting of a beautiful pair of Sam Edelmans appeared. They were perfect condition, perfect price, and I knew someone was out to make me fail when I saw that they were also, MY SIZE! Who would do this to me? Create an entire profile, persona, back story, to sabotage me? This could not be coincidence. And sweet mercy! It could not be happening! I turned to my boyfriend immediately, "Ryan— I need these. I actually need them. I've been waiting so long..." He assured me that I did not actually need them. That I had to move on. And I kind of did. I didn't buy them, but mentally I haven't gotten over the loss. I feel anxiety from being so close to crossing something off the consumer-lust list and not being able to. These boots have made week one tough. The cosmos have it out for me, and now I'm starting to taste the reality of what I'm going to have to bear. Beautiful Patrice... You could have been mine! Unbuyer's Tip #2: Talk about your temptations, it gives them less power. Today is my birthday. And I’m going to do something big. 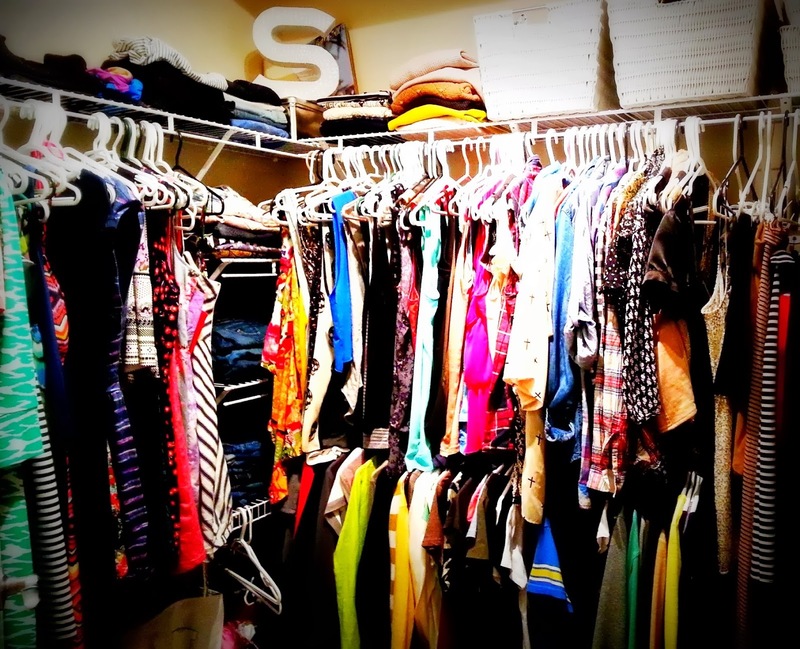 Inspired by the recent story of a friend who refrained from purchasing new clothes and accessories for an entire year, challenged to truly use the abundance of her closet, I begin my own year of “consumer abstinence”. Easier said than done, I plan to stop purchasing all home decor, clothing, shoes, jewelry and accessories for the next year (with the exception of allowing myself 4 new items during a previously booked shopping trip with my bestie this fall). I will be using this space to document my journey and to offer tips I learn along the way. But why am I doing this? Fashion and interior decor are my creative outlet, my passion— but they are also my addiction. Over the next three hundred and sixty five days, I hope to purge myself of the unquenchable desire to have new and have more. My goal is to find peace, and deeper ways to express my creativity. Feeling the truth behind the quote “every possession is an anchor”, I cannot wait to become unbound! Unbuyer’s Tip #1: Be honest with yourself.